Chicken is an early-bird economic indicator. It provides us with a signal to decide whether better or worse times lie ahead. 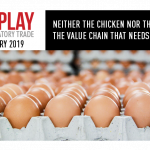 For now, the poultry market suggests that South Africa has moved out of the doldrums into a slow, steady low growth environment. Coal miners used to take canaries down the pit as a warning that there was highly volatile methane in the environment. If the bird dropped off its perch, it was a warning to miners to get out of the pit before a massive explosion and a tunnel collapse. You ignored the canary at your peril. If you are struggling to understand why the economy is in such a mess, take a look at the Astral annual report. It suggests the chicken industry could provide an early warning signal of economic slowdown. Better yet, read on. I have done the work for you. Chicken is South Africa’s most consumed animal protein. It’s plentiful, fairly cheap and versatile. It’s also highly vulnerable to the state of consumers back pockets. Anything that takes money out of poorer consumers pockets is going to immediately be negative for their levels of disposable income and hence for their consumption of everything – including chicken. If you are struggling to understand why the share prices of firms like Massmart, Mr Price and Vodacom have come under so much pressure recently – it’s because consumers are significantly cash strapped. There is broad consensus in the retail sector that December was the weakest holiday period in recent memory. But the signals were there in the middle of last year. Astral attributes this to the state of the South African consumer who in the second half of last year felt the effects of a higher VAT rate coupled with months of record-breaking petrol prices which sucked the little spare cash we had out of our wallets. The warning signs of a dramatic slowdown in the economy in the fourth quarter were being reflected early last year in what Astral was facing. By mid year, unemployment was on the rise, and those in work, with regular paycheques, were finding it harder and harder to make ends meet. Retailers noticed a change in buying patterns. People were making fewer visits to the shops as they were travelling less and consumers became more responsive to month-end specials which also meant that they became less brand loyal to retailers and shopped purely on price. As a result Astral grew sales volumes by just 0.2% a week last year. In the first half of the year it was able to charge 7.1% more for its chickens, that plummeted to a below inflation 3.7% in the second half. What pushed Astral’s profits to record levels wasn’t demand, it was cost control. Feed prices plummeted in the year ahead and it was also able to feed its hybrid chickens less to achieve the same weight gains thanks to scientific interventions in the chicken gene pool. But feed costs are critical. Made up mostly of maize, a staple food for many South Africans, it makes up 67% of the input cost of chicken. A drought in maize producing areas would lead to a spike in mealie prices and that in turn would drive food inflation broadly. 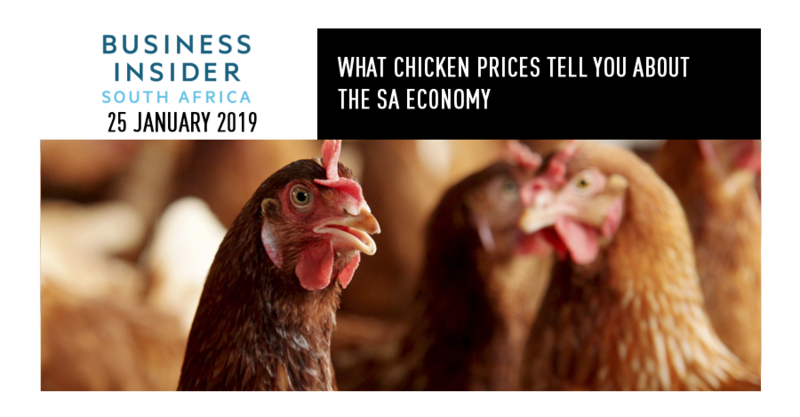 For now, there is a decent enough balance in the poultry market to suggest South Africa has moved out of the doldrums into a slow, steady low growth environment. But watch chicken prices, they might just provide you with the signal you need to decide whether better or worse times lie ahead. 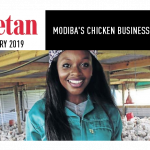 This column was updated to correct the estimated number of chickens imported into South Africa.